So this is happening and you should come because the weather’s going to be great and your favorite local parks and trails agency will be there too! King County’s long-sought-after acquisition of nearly 20 miles of the Eastside Rail Corridor is complete – and the Corridor is now preserved for multiple near- and long-term public uses. Saturday, March 30, 1:30-3:30 p.m.
Open house activities include interactive exhibits about the corridor, activities for children, snacks and refreshments and short tours of a corridor section available using a high-rail vehicle provided by Sound Transit. 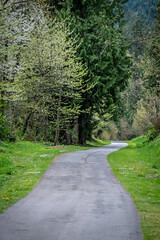 Sign up for alerts and read all about this exciting effort to preserve and develop the Corridor for multiple uses at http://www.kingcounty.gov/erc. Next Post Do not be alarmed. The massive burning orb is good for you, do not resist.